It’s not every day you get a surprise delivery from one of your inspirations…especially not down in the Suvadive!! 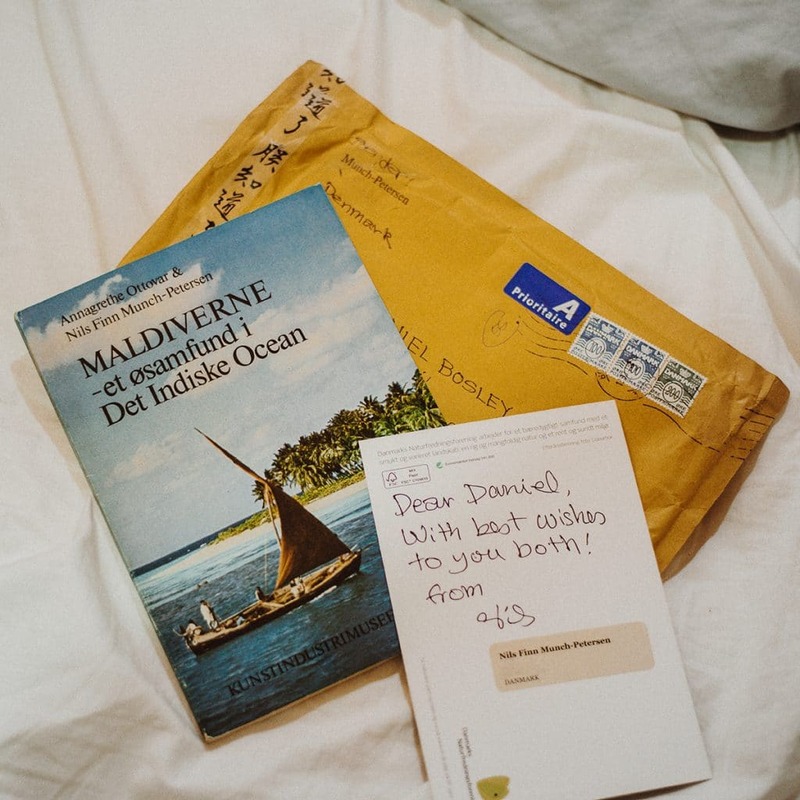 Nils Finn Munch-Petersen has been kind enough to send us a copy of his 1980 publication on the Maldives, put together after his first six years of research into the country – which included 9 months living in fabulous Fuvahmulah. One of the pioneers island interpreters, (https://twothousandisles.com/story/island-interprepters/) his expertise has only grown in the four decades since. We’ll start working on our Danish, and should be back with more regular content in the summer. In the meantime…why not read more about Nils?